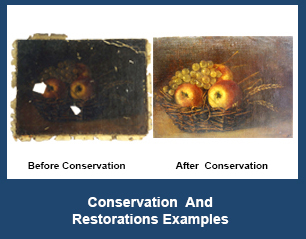 The usual damages found on paintings are exfoliation, cracking and cuts. 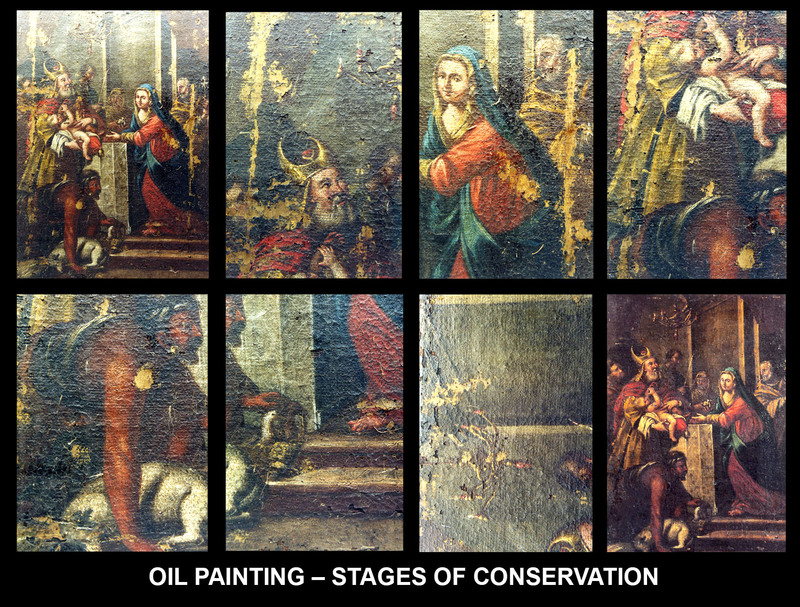 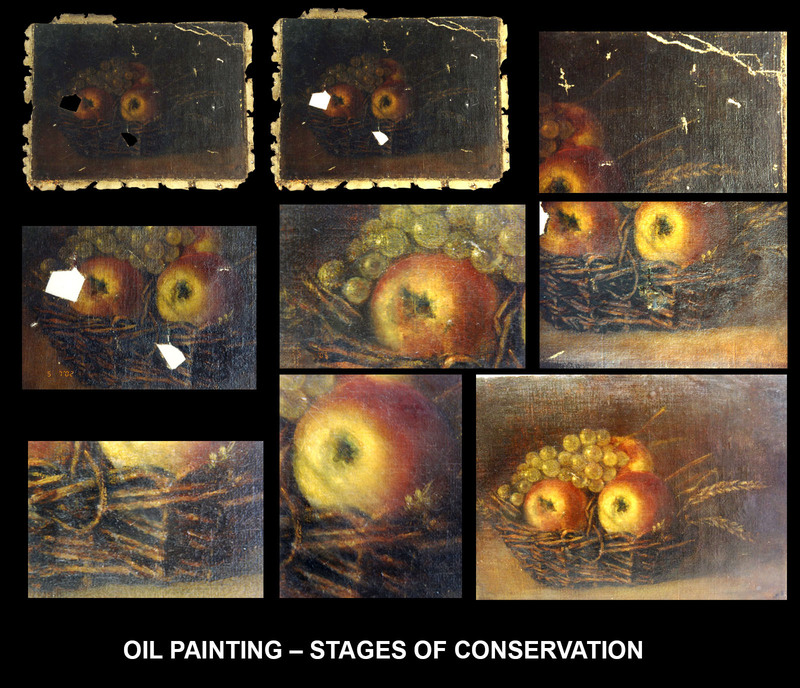 The conservation laboratory focuses on cleaning, fixing the holding and repairing cuts on a painting's material. 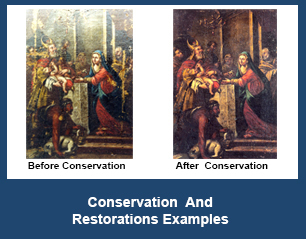 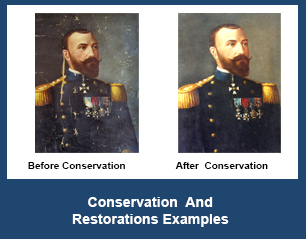 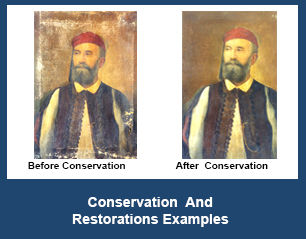 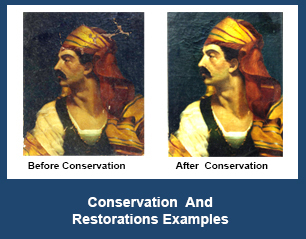 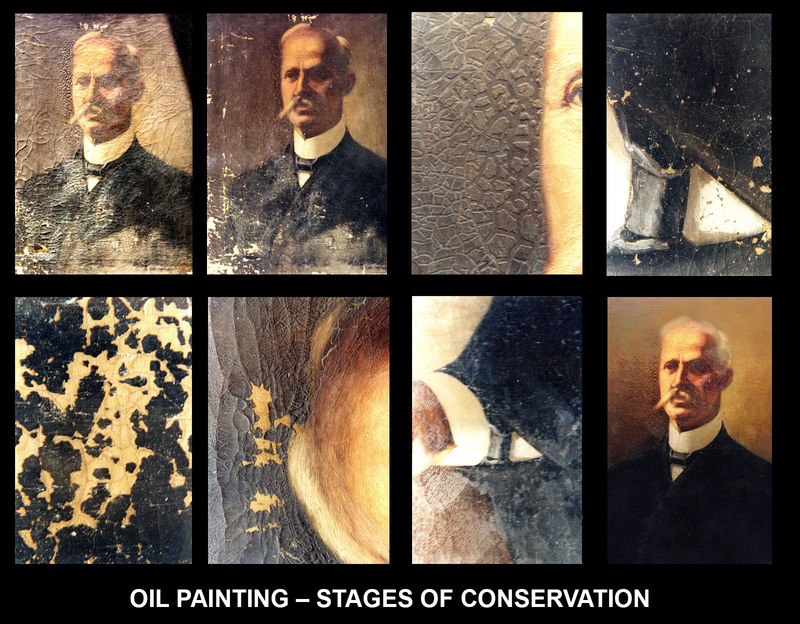 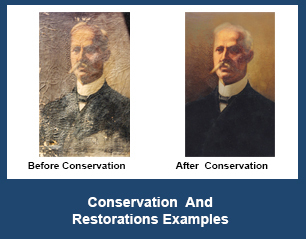 The restoration laboratory focuses on colour restoration of defacements. 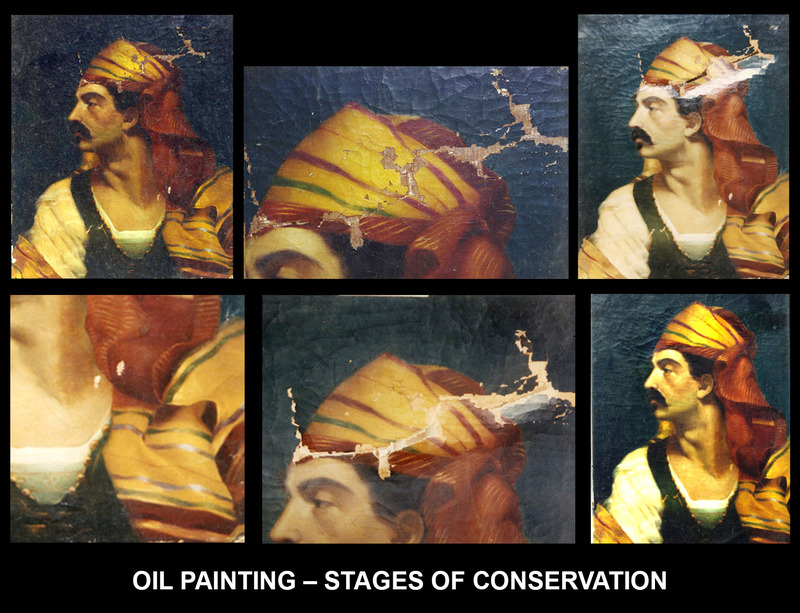 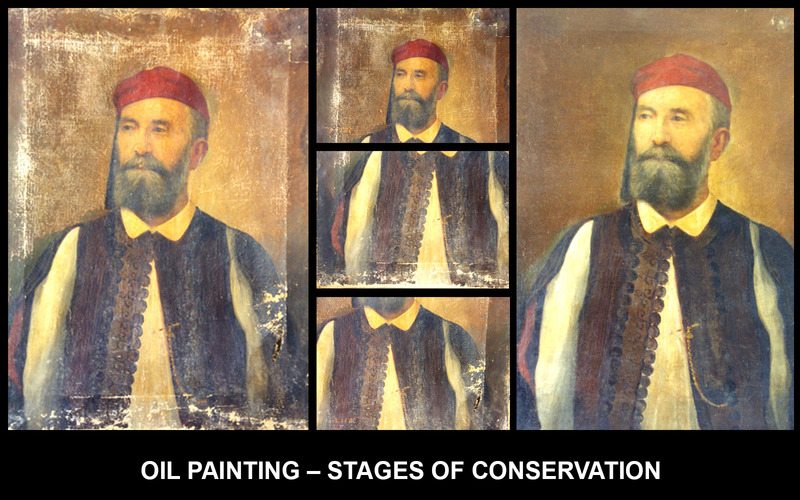 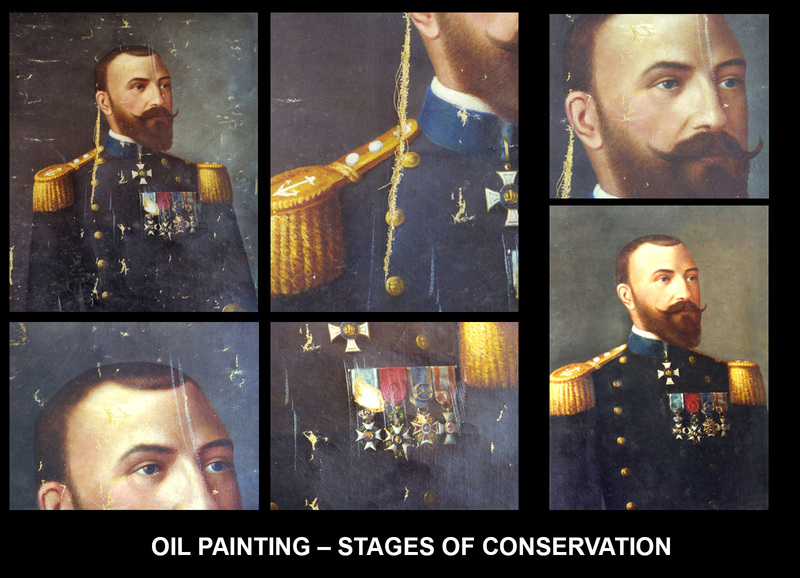 The colour restoration is conducted only after thorough chemical analysis of the damaged sector is conducted, so that the synthesis of the colours to be used is the same with the colours used by the artists.